How to Grow the Prettiest, Most Fragrant Annual Petunias! Part of the fun of growing petunias is their versatility. 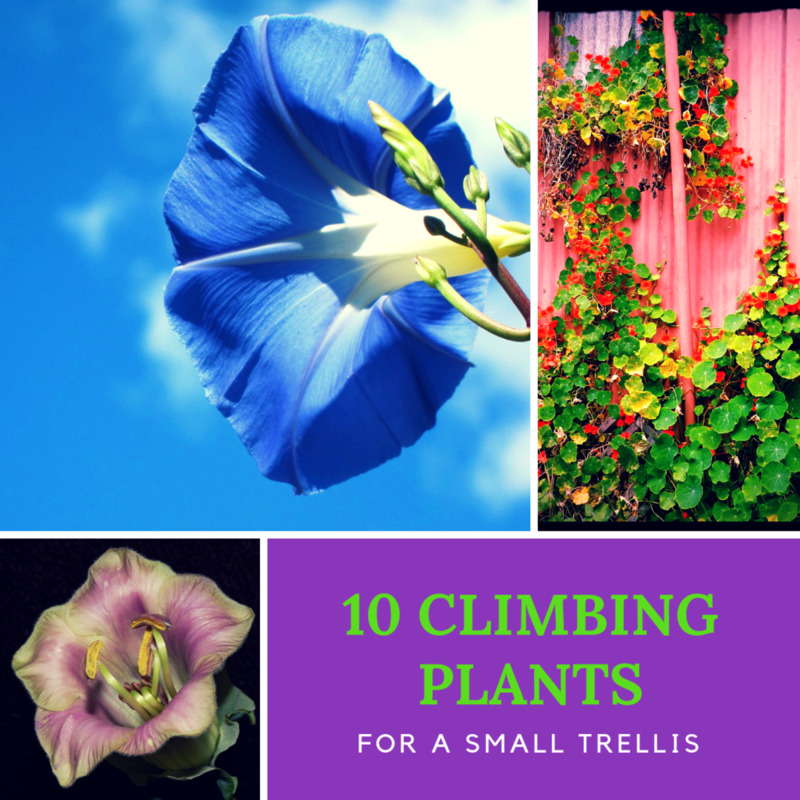 They can be grown as a spreading or a cascading plant, or used in beds, borders, hanging baskets or containers. 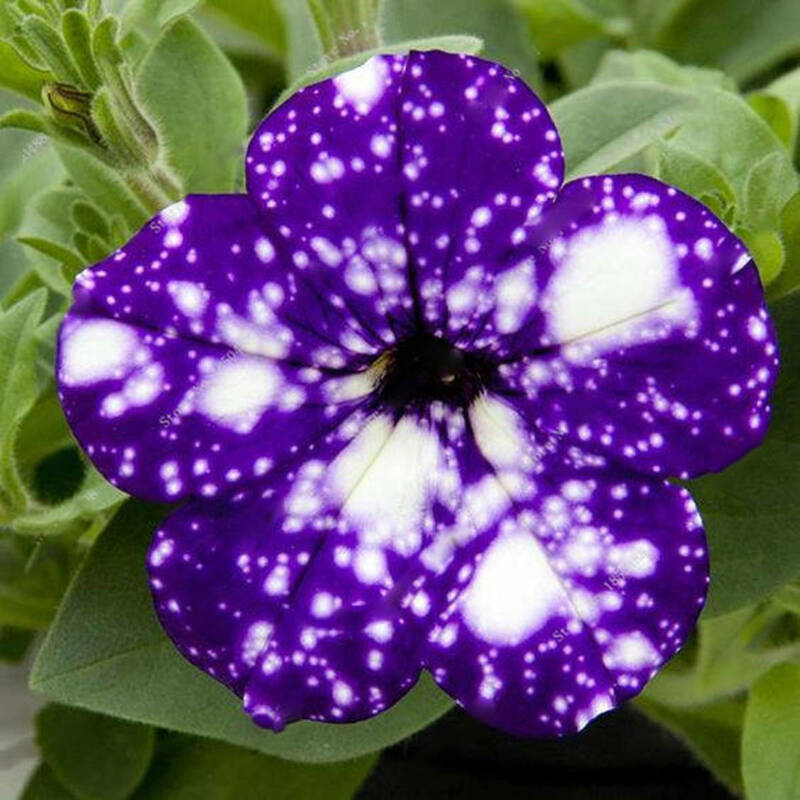 Plus, they bloom in every color of the rainbow with petals that are solid, zoned, speckled, striped, starred or edged in white. They are pretty much everything you want in a flower. Throughout most of the country, petunias are spring and summer flowers which produce an array of colors from spring until the first frost. If you live in a low-desert area (Phoenix, Tucson, etc.) they have been known to fail during long periods of extreme heat (temperatures above 90 degrees Fahrenheit). The humidity in those areas is also a detriment to petunias. If you live in that type area, you can plant your petunias in the fall, growing them as winter annuals that can be admired all through late spring. 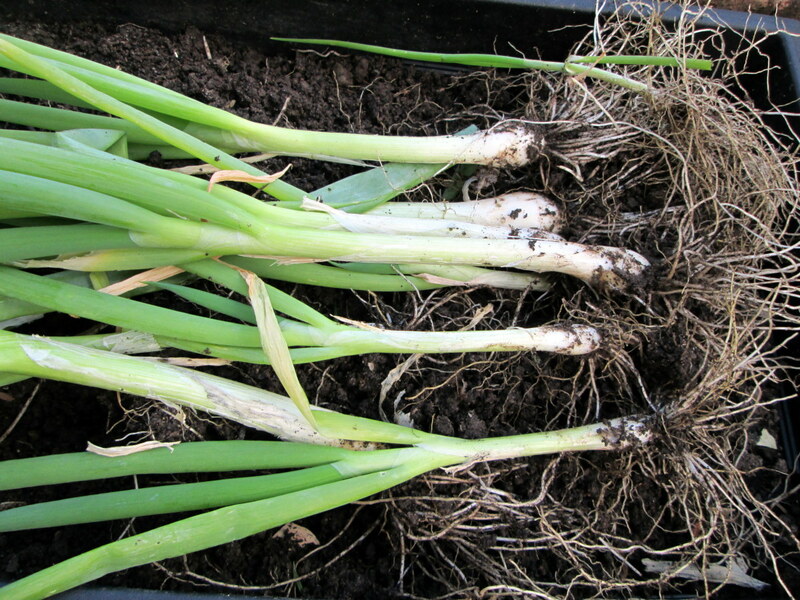 Plant them in full sun in rich, well-drained soil. If your soil is either very sandy or clayey, amend it by incorporating about 6 cubic feet of composted organic matter per 100 square feet. The four main types of petunias are Grandiflora, Multiflora, Milliflora, and Spreading (also called Wave). Grandiflora petunias are large flowers and it is usually best if they are grown in containers or hanging baskets since they are susceptible to rain damage. Multiflora petunias are smaller but produce more abundant flowers. They are perfect for a mixed border because, unlike the Grandiflora, they are more tolerant of rainy weather. 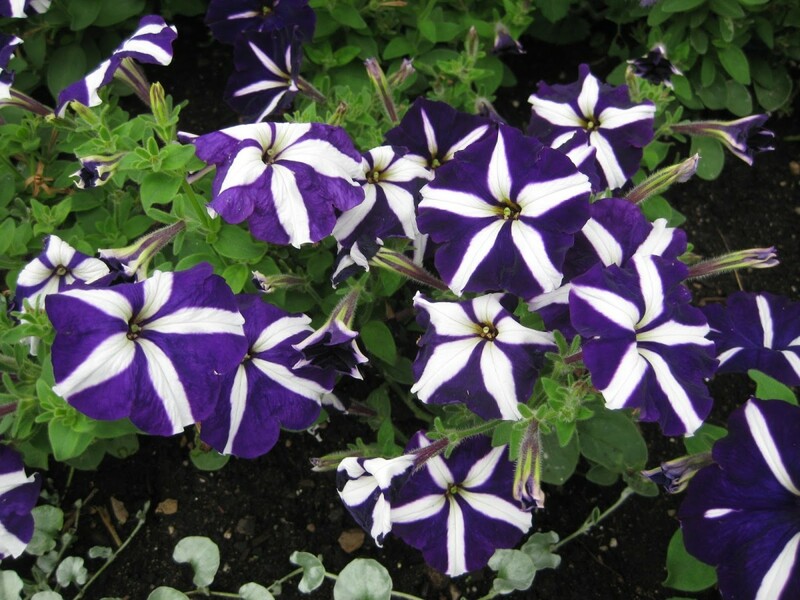 Milliflora petunia varieties produce lots of 1-1 ½-inch blooms on small (miniature) plants, which are generally only about eight inches tall and wide. They bloom early and many people like them better when grown in hanging baskets or containers. These plants don't require deadheading and require little maintenance. 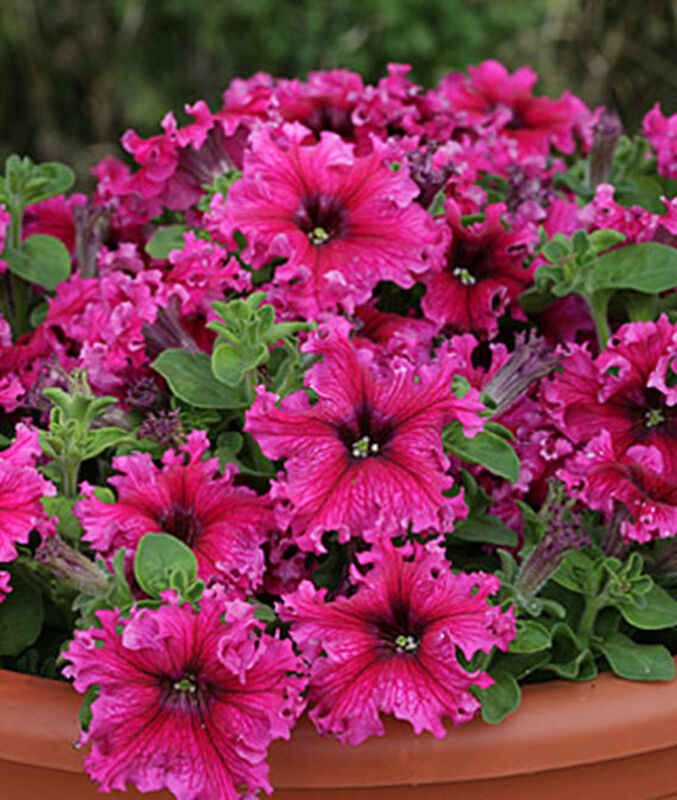 Spreading or Wave petunias are perfect for containers, window boxes or baskets. Some people choose them for a seasonal groundcover plant. One single plant can spread up to about 3-4 feet wide, and they don't need any deadheading to keep blooming all the way up to the first frost. Petunias can be grown from seed, but the seeds are tiny and require a lot of light to germinate. And, they are very slow to germinate, which I find very stressful. I prefer to buy small plants and transplant them outside after the last frost of the season. If you do choose to grow from seeds, you will need to start them indoors 10 to 12 weeks before you want to plant them outdoors. Single Grandiflora - These are large flowers 3½-5" wide. 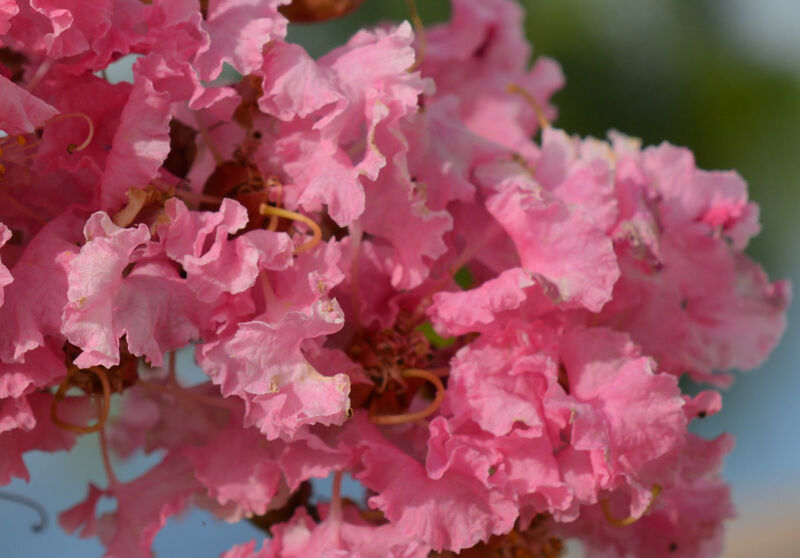 They are often ruffled or fringed; newer cultivars have petal veining of darker color. Double Grandiflora - Large, double flowers that are best in containers. Single Multiflora - These are disease tolerant, abundant flowers that are about 2" wide. Double Multiflora - Abundant double flowers that are very popular novelty plants. Single Floribunda - Abundant 3" flowers, most of which are disease tolerant. Double Floribunda - Same as the single, only double flowering. 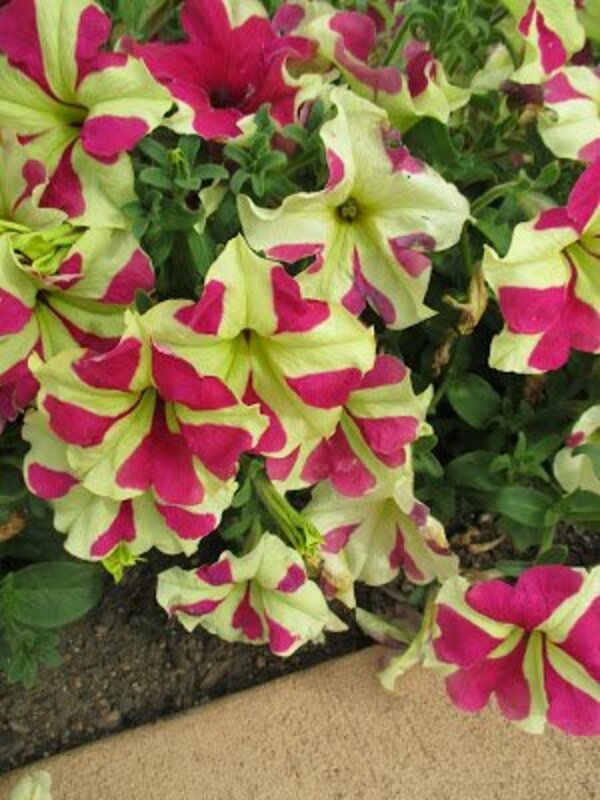 There are over 700 varieties of petunias available and more varieties are being issued patents all the time. These days, you can find them in a wide range of flower colors and shapes. So, explore all of your options before you decide to plant just one. Petunias love the sunshine, and if you plant them strategically you can enjoy a greater number of more beautiful flowers, although they will tolerate some shade if you are willing to sacrifice and make do with less flowering. If you start your petunias from seed inside, you can transplant them outside when they display three leaves (assuming it is past the last frost day). You will need to space the plants about 8-12 inches apart. Always keep weeds under control during the growing season. 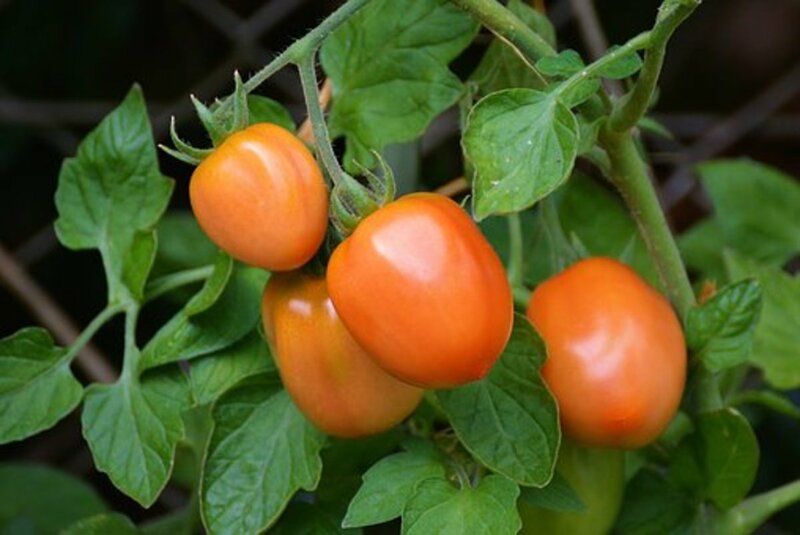 They will compete with plants for water, space, and nutrients, so either cultivate often or use mulch to prevent their seeds from germinating. As you can see, this newer variety of petunia, called Espresso Frappe Rose Hybrid, has more "flair" than older petunias. This variety is called Petunia Blue Sky. It has gorgeous blue-purple petals with white spots. Because petunias are tolerant of the heat, you won't need to water them as often as some other flowers. 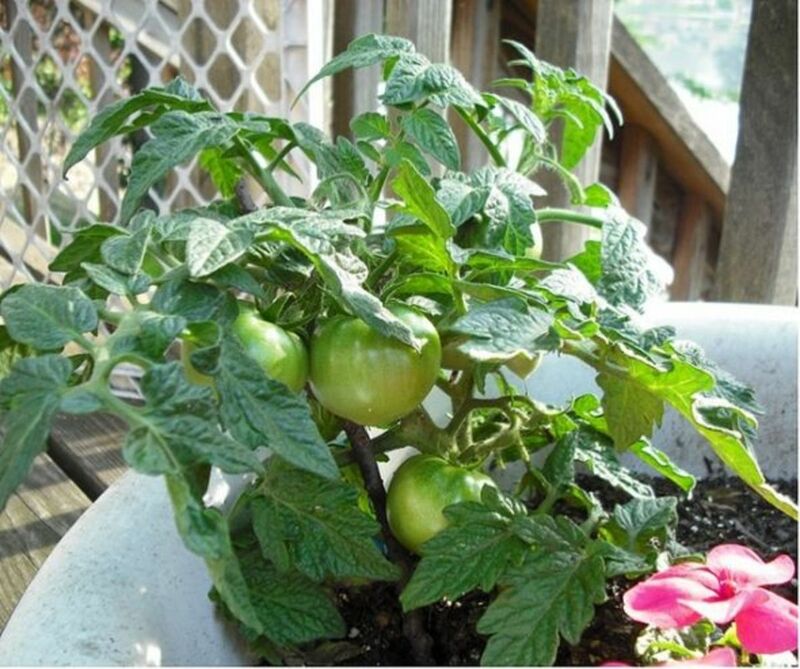 If you water them thoroughly about once a week, that should be enough unless you have prolonged drought periods. To see good growth, fertilize your plants monthly. 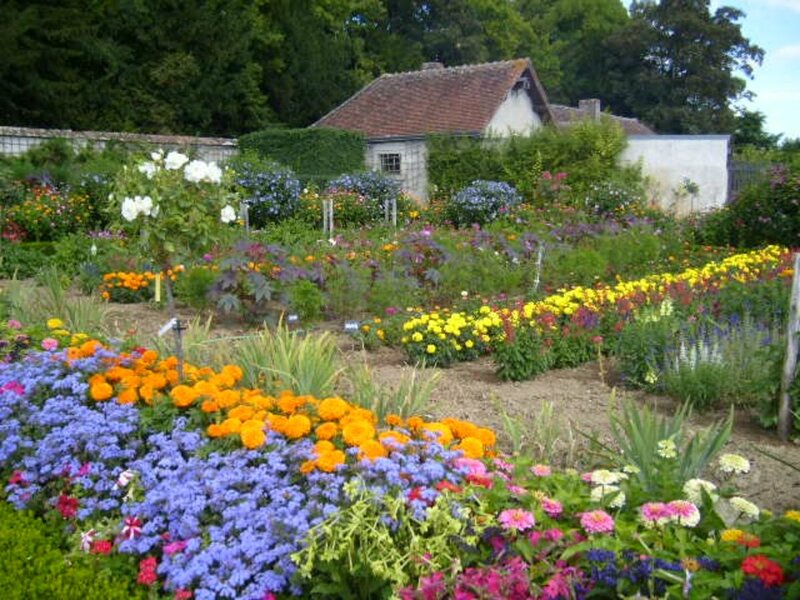 If you have double-flower cultivars, you should fertilize them on a bi-weekly basis. To prolong the blooming, remove all faded or dead flowers. Large 4-5" flowers on well-branched plants. They work great in hanging baskets or containers. Gorgeous 4" blooms in many different colors. This is a large ruffled flower with prominently colored veins. Unlike many other petunias, this one has great tolerance to rainy conditions. Double-flower series in many colors including apricot and champagne; 3-4" ruffled flowers. Dreams do very well in rainy, hot or humid condition. Great in containers. *A series is a group of closely-related varieties with uniform characteristics like height, spread, and flowering habit. Generally, the color of the flower is the only characteristic which varies within a series. Single, funnel-shaped blooms in blue, red, coral, pink, and raspberry, most of which are variegated with more than one color per petal. 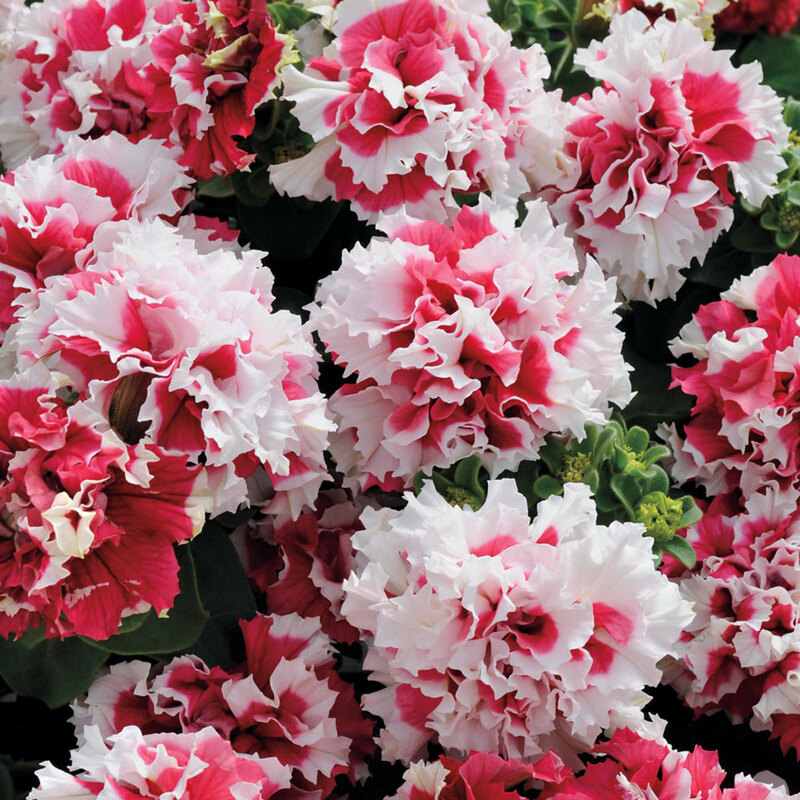 This variety is very tolerant of heat and very compact, spreading to 15 inches wide and 15 inches tall. Although not always easy to find in North America, it comes in colors like red, deep-blue, creamy-yellow, lavender, white, soft-pink, coral, and several variegated types. This is a sturdy, vigorous, mounded, upright plant that can grow to be 15" high and 12" wide. This is an easy-to-grow plant that consists of velvety petals that usually come in colors like deep rose or lavender. A low-growing plant that can reach widths of about 5 feet, but height of only about 6", making it perfect for groundcover. 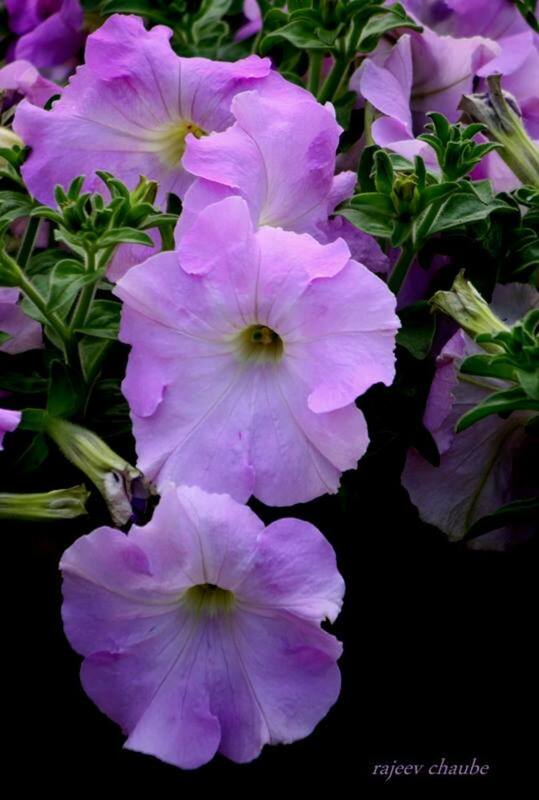 Petunias can become established plants with very little difficulty and they will flower prolifically all the way from June to October in most areas of the country. Petunias look great in hanging baskets, in patio containers or pots, and in borders. There are so many colors and sizes from which to choose. They are very low maintenance and will thrive in full sun or partially shaded locations. Petunias are one of my faviorite flowers, and I apreciate all the information you shared.